The club was formed in 1946 and spent their first 12 years in the North Berks League. in 1958 they joined the Hellenic League. Up until 1977, the club remained in the second tier with finishes ranging from 3rd in 1961 to 19th in 1974. 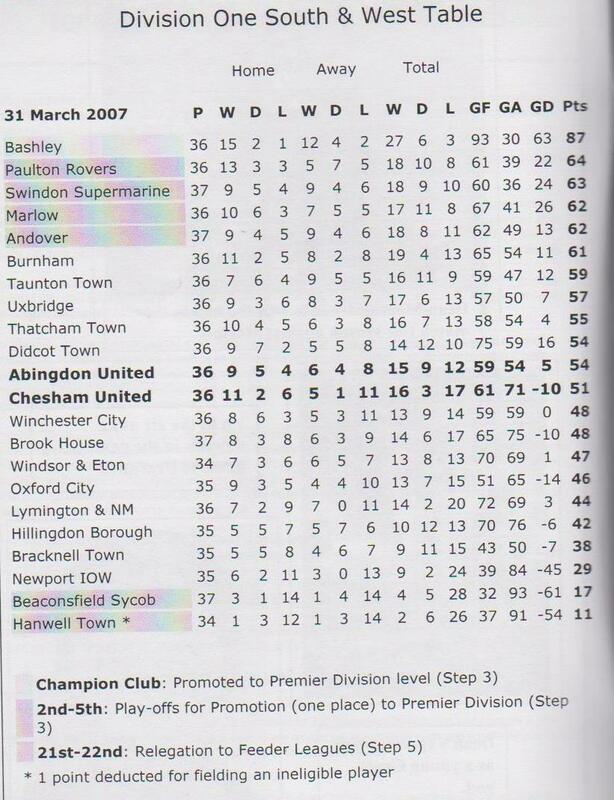 Another third place finish in 1977 saw Abingdon United promoted to the Premier Division. They'd struggle at first, eventually being relegated in 1981, though they bounced back at the first attempt with a runners-up spot. Fortunes were much improved this time around with finishes invariably in the top half of the table. 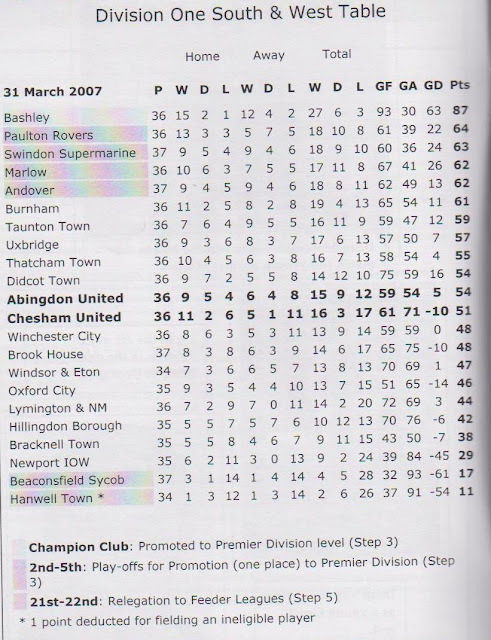 In 1997 they finished as runners-up to Brackley Town but would have to wait until 2006 for promotion when third place behind Didcot Town & Bishops Cleeve was good enough for promotion to the Southern League. A seven-season spell in Division 1 South & West followed and despite a debut season of 11th, Abingdon generally struggled. In 2013 they resigned from the league following a 20th place finish and rejoined the Hellenic Premier. Further struggles followed and in 2016 they were relegated to Division 1 West. 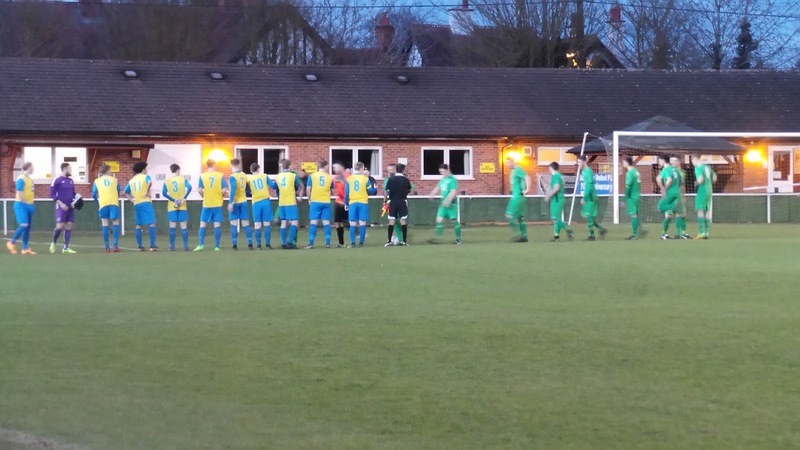 They bounced back straight away with a second place finish behind Fairford Town. This season they have come back a lot stronger and currently sit 9th, all set for their best finish since returning to the Hellenic League. 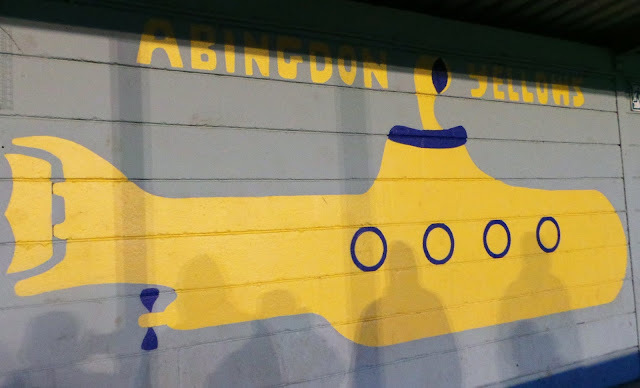 Abingdon Town's best progress in the FA Cup has been the 2nd Qualifying Round, last reached in 2014 when they were beaten 2-0 by Dorchester Town. 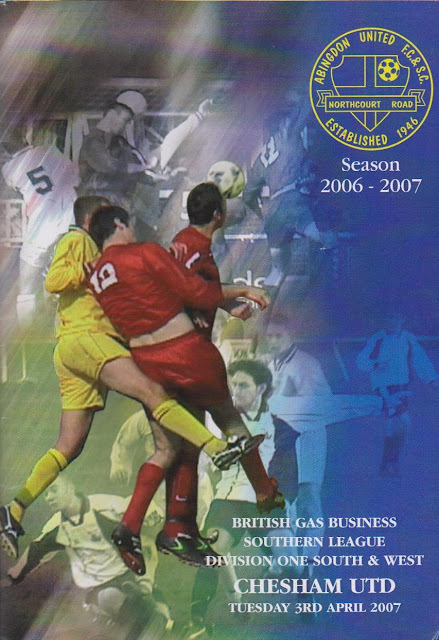 The 2nd Qualifying Round is also their record progress in the FA Trophy - in their debut season of 2006/07, they beat Bromsgrove Rovers and Bracknell Town before an exciting 8-4 defeat at Hemel Hempstead Town. In the FA Vase, they reached the 3rd Round in 1988 - beating Brockenhurst, Clanfield & Bedfont before a 1-0 defeat to Thatcham Town. Local honours include the Berks & Bucks Senior Trophy twice, the Hungerford Cup twice, the North Berks Charity Shield in 1947 and a number of various Hellenic League Cups. 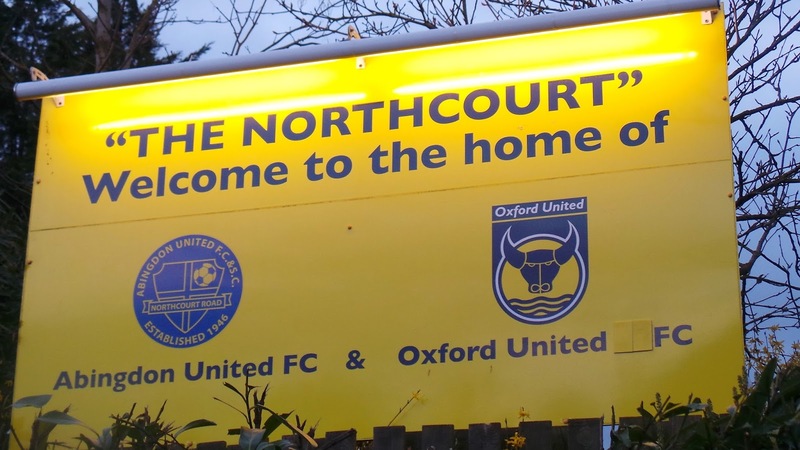 The record attendance of 1,500 came for a 1994 friendly game against Oxford United whilst famous former players include current Bristol City striker Matty Taylor and former Wycombe man Jermaine McSporran. 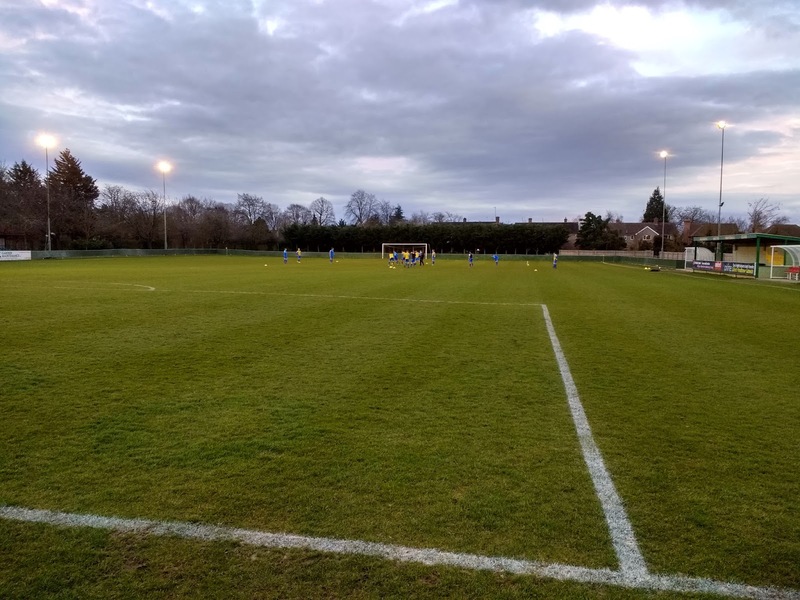 As for the youth side that I'd be seeing on my second visit, they played in the Hellenic Division 2 East which sits at step 7 of the non-league pyramid - two levels below their first team. 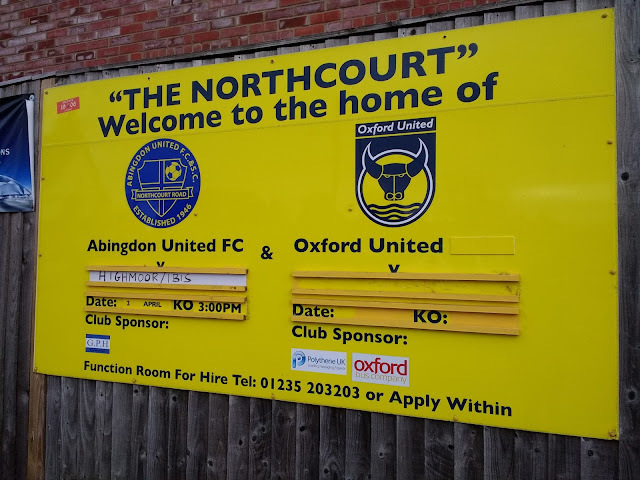 Both of Abingdon's teams have suffered a fall from grace in recent years and although United have recovered somewhat, Abingdon Town remain in the Hellenic D2 East along with their rivals development team. Famous people to come from Abingdon include Sammy Chung who played for Reading, Norwich & Watford before going on to manage Wolves and Doncaster Rovers. The band Radiohead was formed whilst the band members were at Abingdon School while in the world of TV Kate Garraway and David Mitchell also hail from the town. In terms of commerce, MG cars were built in the town up until 1980 whilst the Morland Brewery who produced the 'Old Speckled Hen' beer operated here until 1999 when they were bought out by Greene King. As a few ex Wycombe players were playing for Chesham in this game I decided to make my way over to Abingdon United for this Tuesday night fixture. I want with my mate Paul and on the way, we visited a few grounds such as AFC Wallingford, Milton United and Abingdon Town.We were lucky that get it started to get dark quite late to allow the photos to be taken and that it wasn't too cold. Looking back entry was well priced at £4, a real bargain. I got rid of my original programme years ago but recently rebought it back on eBay. It was a great issue, nice and thick and with plenty to read. In the reverse fixture back in August, Chesham had triumphed 3-2 and according to my sources, this was the only season in which the two sides played in the same league. 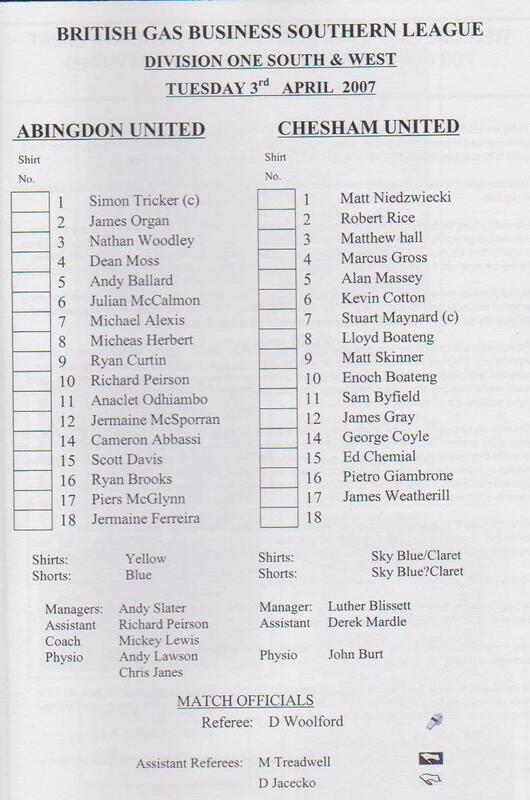 The two sides had met back in 1991 for a Berks & Bucks Cup tie, Chesham winning 3-0 on that occasion. There were Wycombe players on either side. Pacey striker Jermaine McSporran was back in non-league after injury ruined a promising start at Adams Park. Chesham United, managed by the former Watford and England star Luther Blissett also had a number of ex Wanderers in the side including Robert Rice, Alan Massey and Pietro Giambrone although these played mainly in the youth team. I don't recall much about the game, to be honest, and the internet failed to throw up complete details but the game ended 1-1 in front of a crowd of 107. 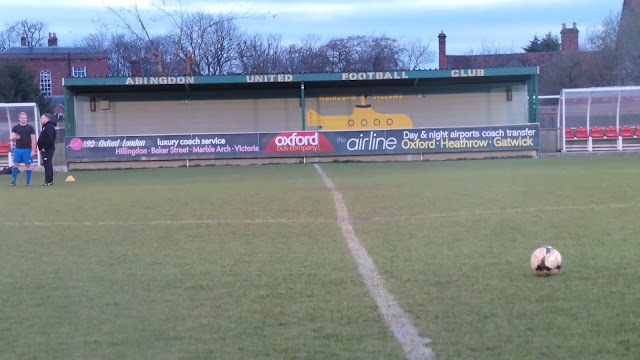 Anaclet Odihambo got Abingdon's goal. I'd been looking to revisit Abingdon Town for a while before this attempt. I'd not been here since 2006 and had minimal photos and a very short blog. Initially, I'd been annoyed when this exact fixture had clashed with Wycombe's home game against Coventry. However, freezing temperatures meant that this local derby was postponed. With no date confirmed for the rematch, myself and fellow groundhopper Anwar had planned in a visit for the 13th March for the game against Penn & Tylers Green. Once again, we were thwarted once more as the fixture was cancelled due to Penn & Tylers Green having a cup game. It would have been likely that it would have been called off anyway as we endured another bout of horrendous weather, with me having a late dash to find a game. I'd been on a week off work, going back to work the day before the game. Typically after a week of great night's sleep. I couldn't get to sleep for love nor money the night before. It must have been an omen - recent events all came to a head and I was told that if I didn't accept drastically reduced hours, then I could be made redundant after nearly 17 years service. So, I was glad of my usual day off on the day of the game and a good night's sleep and it was the usual walk down town for exercise before meeting my Dad for a lift home. In the afternoon, I started looking about for jobs and getting my CV ready, should the need arise. After a dinner of pizza, I left just before 6, meeting Anwar in Aylesbury half an hour later. For once, the roads were good to us and we were in Abingdon by 7.20. 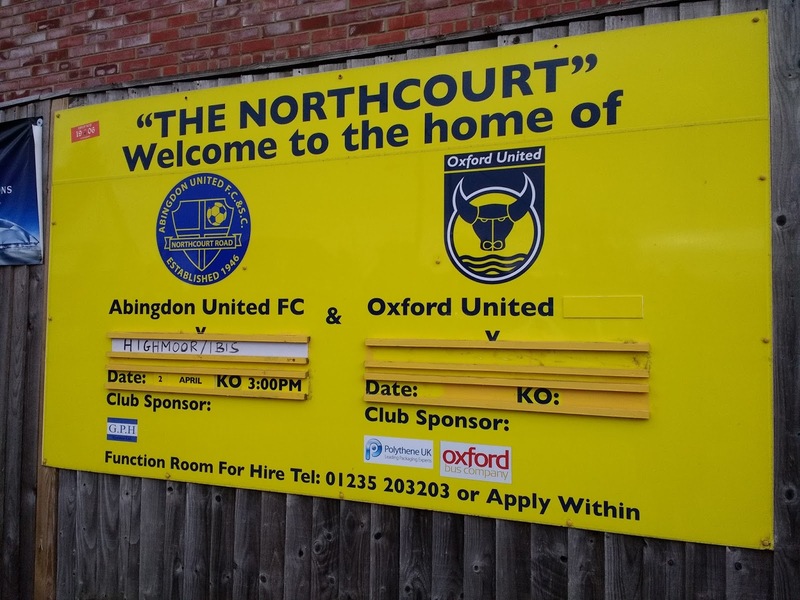 Looking back at the games between the two sides, in the league at least, the results were very much in favour of the hosts, Abingdon United, with six wins and two draws from the eight games played so far. However, what was to happen over the next (nearly) 90 minutes was to be so shocking, that it was virtually impossible to write a match report. 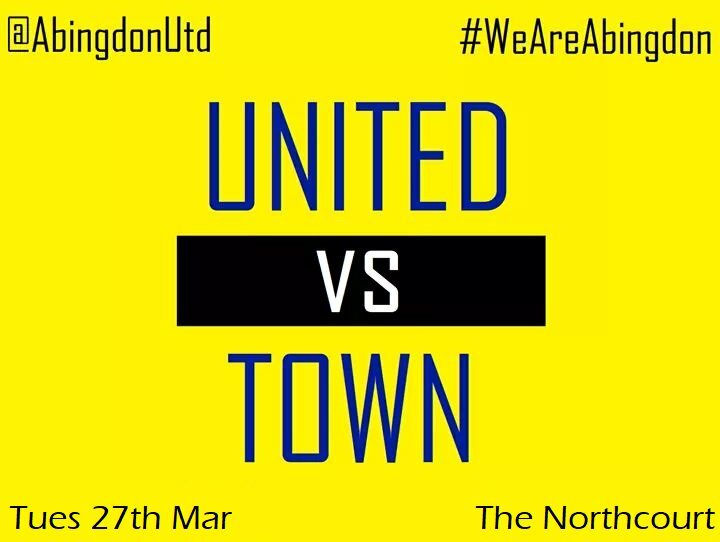 11: Abingdon United take the lead. It was a cross from the left, Town failed to clear their lines and Luke McCormack volleys home at the back post (1-0). Though United had been the better side up until this point, both sides had chances. 27: Hosts well in control by now and they make it (2-0) after an attack on the right. Luke McCormack gets his second with a low diagonal shot which finds the bottom left-hand corner. 36: The visitors go down to nine men. Aaron Andrews with a bad tackle which results in handbags between the two sides. Referee Shaheem Kamaldian rightly produces the red card for dangerous play. 38: The visitors night goes from bad to worse and it's now 4-0. A ball was put across and someone had shot home from 10 yards following poor marking. HT: No doubt where the points are heading as the visitors trudge dejectedly off the pitch. Astonishingly when they reappear for the second half, they are one player light and the manager and rest of the bench have disappeared. With no available substitutes, they'll have to start the second half with nine men. 78: Another visiting player departs, this time due to injury as he limps off. They are now down to 7. In a rare bright spot, if you can call it that, the visitors hit the bar although the defending was a tad sympathetic there by the hosts. To add insult to injury, referee Kamaldian books the injured player for leaving the field without permission. Harsh and unnecessary. 84: Perhaps in sympathy of the visitors, perhaps to just get the match completed, the referee blows for full-time six minutes early and without playing any time added on for the 12 goals and injuries. Maybe sensibly, as some of the visitors gave up a long time ago. 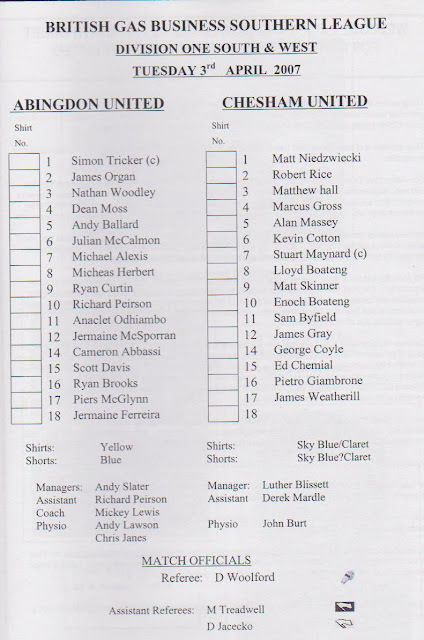 Astonishingly, the hosts side only contained ONE player with first team experience. A case of Men against Boys, only reversed. I could scarcely believe what I was seeing tonight. I've seen some hammerings handed out, the previous biggest was in the Central Midlands League as Ollerton Town beat Welbeck Welfare 12-0 in February 2016. At least the visitors battled then, despite being well adrift at the bottom of the table. This was no such case. Abingdon Town were sitting in 4th before the game, just nine points behind their rivals development side and with two games in hand and only three defeats all season. The pre-match formbook gave absolutely no indication of what was to happen tonight. All told, the entire bench, plus two players failed to turn up at all or walked off mid-match. I've never seen anything like it and the individuals concerned should be ashamed of themselves. If I was the club, or indeed the teammates who stayed on and battled, I'd never want to see them turn out for the side ever again as they have tarred the name of the club, who although tricky times in recent years, have a proud history. I can find no records, but surely this must be a record win for Abingdon United (albeit their development side) and a record defeat for Town some of whose players showed little fight for local pride. 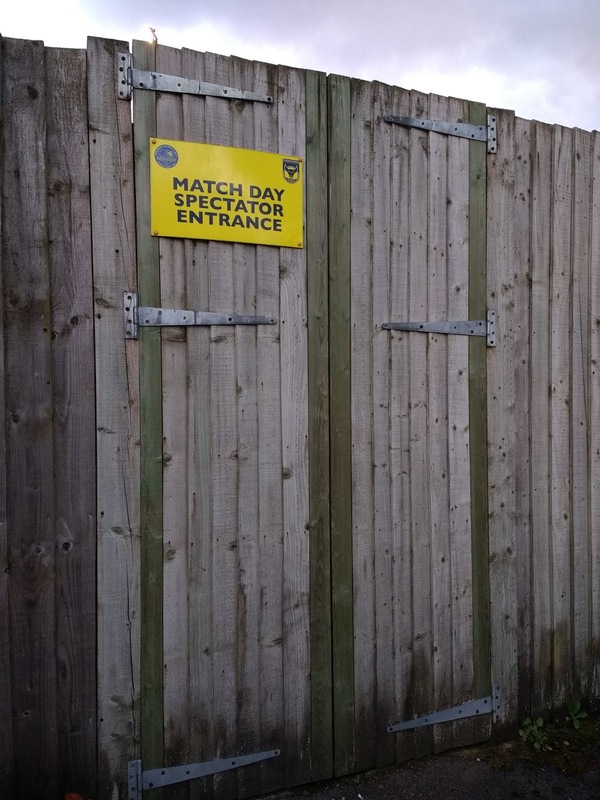 All in all, it was not a good advert for non-league football if you are trying to convince someone to come along and watch and take the game seriously. I was glad I was there though, surreal as the circumstances were. We left just after 9.30 once I'd got my things together. On the way back, we listened to the rest of the England v Italy game on the radio. Despite the Three Lions leading 1-0 thanks to a Vardy goal when we set off, the Italians equalised thanks to a goal aided by the farcical VAR system. As it was local, the journey home was a quick one and I dropped Anwar off at 10.15. I got home myself twenty minutes later and caught up online which was a bit of a task with the interest in the bizarre game that I had witnessed. Even so, I got into bed at 11.10. However, as per usual before work, I couldn't sleep and only got around two hours shut-eye in the end. Next game for me is another revisit, a big game for Wycombe as they travel to Notts County on Friday. NORTHCOURT ROAD is a decent ground for the Hellenic League, having seen service at step 4 in the Southern League. 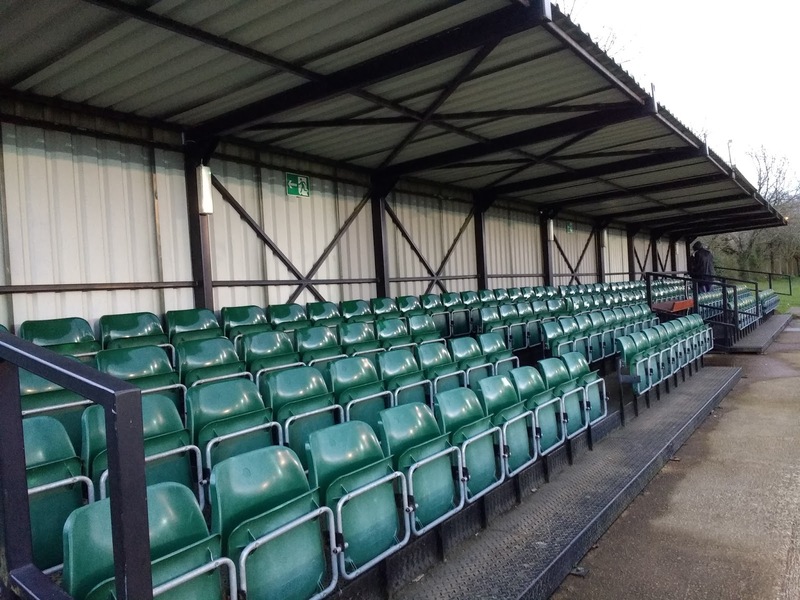 The main seated area is a metal 'Arena' type stand, this holds 158 supporters under cover. On the other side of the pitch is a small covered area holding 100. The rest of the 2,000 capacity ground is open to the elements. At the ground is a clubhouse and tea bar. I can't remember much about these from my first visit, although the bar looked OK the second time around. The town is a walkable distance away. 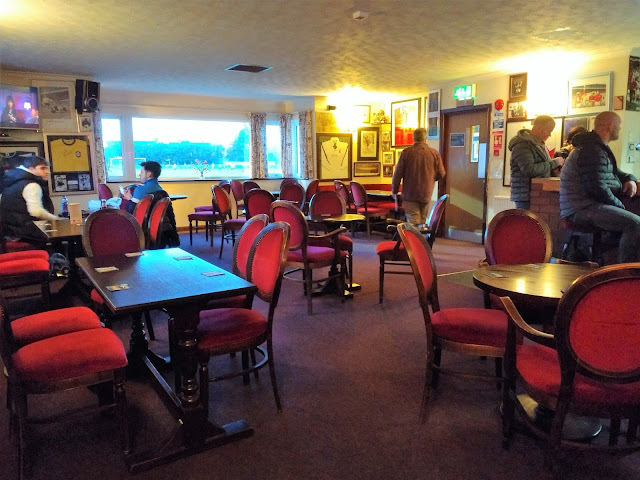 There you will find a number of takeaways and pubs and although I've not visited, the Nags Head and the Brewery Tap look promising. Joint third best so far out of 62 reviewed.